Hampton Country Day Camp’s formula is unique. We take pride in a professional staff development program that includes an extensive recruitment and interview process, background checks, and an ongoing, comprehensive training program unsurpassed in the camping industry. Our Leadership Team is a highly trained and dedicated group of exceptional professionals. Group counselors and specialists, brought in from all around the world, are carefully selected utilizing a thorough interview process, complete with reference and background checks. Year-round staff training programs employ the services of top psychologists and child development experts for both our Leadership Team and general counselor staff. Our innovative evaluation process enables our Leadership Team to work closely with their counselor staff. Our staff salaries, amongst the highest in the industry, ensure a wide pool of quality applicants and keep our quality staff returning year after year. 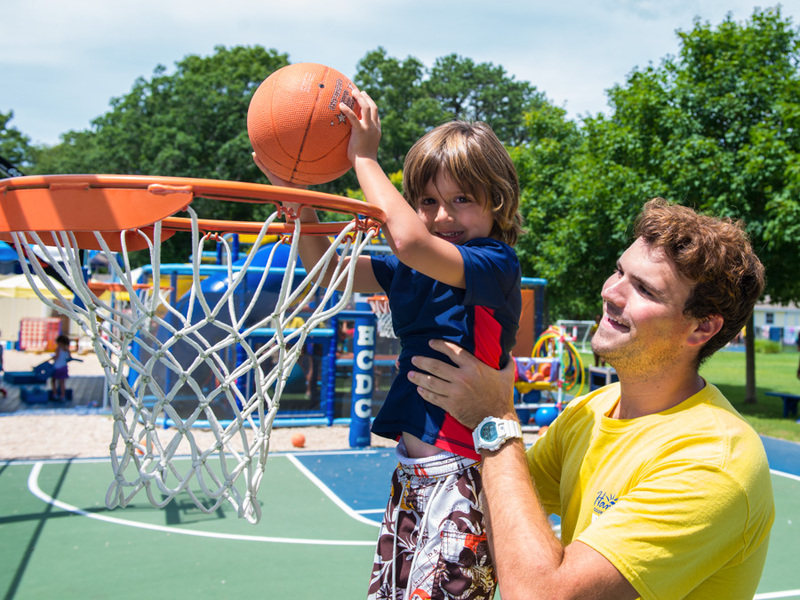 Hampton Country Day Camp’s commitment to the health and safety of every child is unsurpassed. At HCDC, a child’s emotional safety is as important as his or her physical safety. Every member of our staff undergoes an extensive training program to ensure that your child is being supervised while having the best summer possible. Angelica is excited to be returning to HCDC this summer as the Division Leader of our 2 Year Old Program. 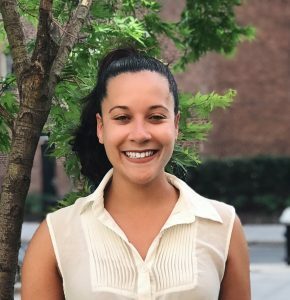 During the school year, Angelica is a kindergarten teacher in New York City and holds a Bachelor’s Degree in Speech Language Pathology as well as a Master’s Degree in Early Childhood Special Education. Through these experiences, Angelica has learned to create a warm, fun and nurturing atmosphere for young children. Angelica can’t wait to meet all of her campers and she is committed to ensuring that every young child will experience social, physical and creative growth this summer! Jayne Kaht is thrilled to be returning for her twelfth summer heading the 3 Year Old Division of our Stepping Stones Program. Jayne is a passionate play-educator who has been working in the Early Childhood field for over 35 years. She is currently Lead Teacher for the Eastern Suffolk BOCES Career and Technical Center Early Childhood Education Programs where she has been teaching for thirty one years and was awarded the ACTEA (Association of Career and Technical Educational Administrator) 2018 Teacher Recognition Award. Her job involves preparing high school students for careers in early childhood while running an on-site preschool lab in the classroom and guiding her students through the Child Development Associate (CDA) credentialing process. Jayne taught as an Adjunct Professor of Early Childhood and Special Education courses to both undergraduate and graduate pre-service and in-service teachers. She is a professional consultant, providing workshops and seminars for teachers, administrators and parents. Jayne received her degree in Child and Family Studies/Family and Community Services, her Master’s Degree in Early Childhood Elementary Education and her Post Master’s Certificate in Parent Education and Parent Guidance. She has three grown children, including a foster daughter who has added “grandmother” to her list of credentials! 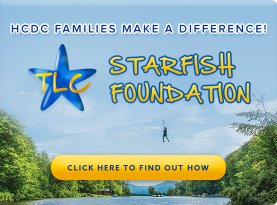 Jayne shares her world of knowledge, her love of toddler- aged children and her enthusiasm for camp with the Stepping Stone Division at Hampton Country Day Camp! Barbara, returning to HCDC for her ninth summer, comes with many years of both professional and life experience with young children. Barbara has always stayed closely connected to camp, especially while raising her two daughters who both attended day camp as well as sleep away camp for many years. Barbara is the proud mom of two professional elementary school teachers and a proud grandma to a 2.5 year old grandson and a 1 year old granddaughter. 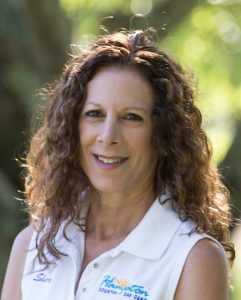 Barbara has taught several years of kindergarten in the Half Hollow Hills School District on Long Island where she currently teaches 4th Grade. She holds a Master’s Degree in Early Childhood Education and School Administration. With over twenty years in the field of childcare, Barbara is invested in getting to know each child and responding to his/her individual needs. Barbara prides herself on establishing close relationships with her counselors as well as developing consistent and attentive communication with parents. Barbara provides a safe, happy and nurturing environment for our younger campers and is looking forward to meeting everyone at Parent Orientation in June. Sarah is thrilled to be returning to HCDC for her eleventh summer and her third year as the Division Leader of the 5 Year Old Girls. Sarah holds a Bachelor’s Degree in Elementary Education and a Master’s Degree in Early Childhood Special Education. Sarah is currently a 3rd Grade teacher in Northern Virginia and is responsible for several committees and programs within her school. Sarah runs the “Basketball After-School Club” as well as the “Boys, Basketball and Books” Saturday program at her school. She is also head chair of her school Climate Committee and Secretary of her school’s Advisory Council. She prides herself on nurturing her campers while helping to build their confidence and self-esteem. Sarah is married and is the proud mother of a four and a half year-old daughter, Sadie, who is excited to be a part of the Stepping Stones again this summer. Sarah can’t wait to bring her experience and enthusiasm for camp to all the campers in her division! Jenny is eager to return to Hampton Country Day Camp for her sixth summer. After working as the Program Coordinator and as a longtime Senior Counselor on “girls side”, she is excited to take on a new role as the Division Leader for our 6 Year Old Girls! During the school year, Jenny teaches 4th grade in New York City. She holds a Bachelor’s Degree from SUNY Cortland in Childhood Education and is currently finishing up her Master’s Degree in Special Education at Molloy College. Jenny cannot wait to put her spirit and energy into her new position and to help create a summer to remember for every HCDC camper! Sheri is thrilled to be celebrating eleven dedicated years here at HCDC! 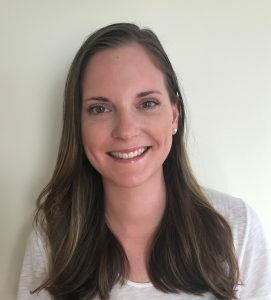 She holds a Bachelor’s Degree from Boston University in Sociology and Psychology, and a Master’s Degree in Elementary Education from Adelphi University. Sheri brings with her many years of experience working with and educating children. She teaches 6th grade during the school year in the NYC public school system. 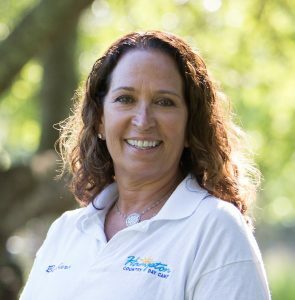 With over 20 years of experience in camping, Sheri brings an abundance of knowledge, understanding, and guidance to the campers and counselors in her division. Sheri excels in teaching conflict resolution and communication skills, encouraging self-resilience, and independent thinking. She is always there to guide our 7 year old campers through a terrific camp experience. Mollie is looking forward to returning to HCDC for her eighth summer. Having previously attended our sister camps, North Shore Day Camp , Timber Lake West, and returning to North Shore as a counselor for four additional years, Mollie maintains that she holds the record for most years accrued at the Timber Lake Family of Camps. She will tell you that there is no place on earth that she’d rather be! Before becoming a Division Leader at HCDC, Mollie was a Senior Counselor in the Stepping Stones Division and a Program Coordinator. This year, Mollie is looking forward to returning as the Division Leader for the 8-11 Year Old Girls! Mollie is a kindergarten teacher at a public school in New York City and holds a Master’s Degree in Childhood Special Education. Mollie is thrilled to combine her love of children with her love of camp for another spirited summer at Hampton Country Day Camp! Jarrett couldn’t be more excited to return to HCDC for his seventh summer! Having spent the last 5 years as a senior counselor on boys’ side, Jarrett is looking forward to leading the 5 Year Old Boys Division this summer. Although Jarrett never attended summer camp growing up, he immediately connected with HCDC during his first summer and it is always the highlight of his year! In addition to working in a kindergarten class in NYC , Jarrett is also a full-time graduate student at Hunter College studying Childhood Special Education. Whether at school or at camp, Jarrett emphasizes the importance of establishing and maintaining a meaningful, personal connection with his students and campers. 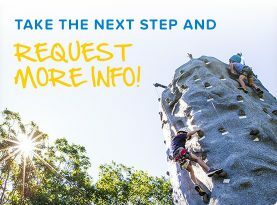 This helps to ensure that each camper has the absolute best summer experience possible! For the past seventeen summers, Zack has called HCDC his summer home. Born and raised in Sag Harbor, Zack attended HCDC as a camper and is proud to return this summer as a Division Leader. 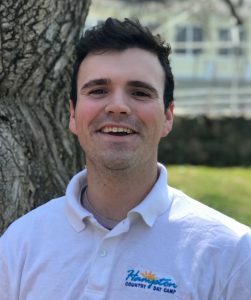 Zack has a Bachelor’s Degree in Inclusive Elementary and Special Education from Syracuse University, and is currently enrolled at Hunter College to earn his Master’s Degree in Literacy Education. He will be pursing his teaching career in New York City this upcoming fall. Zack is a passionate educator and is dedicated to creating an engaging space for every camper. He believes that camp has helped to shape him into the person he is today and that every child should have the opportunity to experience the wonders of camp. Zack will be utilizing the skills he has acquired during his many years as a senior counselor with the 5 year olds to his new position as Division Leader of the 6 Year Old Boys. Cabel is back at HCDC for his fourth summer. This summer Cabel will be the 7 Year Old Boys Division Leader! During the year, Cabel is an 8th grade teacher at the Windward School in Manhattan. Cabel has worked in summer camp since his early teens, and through his camp experience, Cabel has developed a strong passion for education. More than anything, his goal is to make sure that every child has the opportunity to have fun, learn, and form meaningful connections with new friends. Cabel strongly believes that camp is the perfect place for this to be achieved! Cabel is looking forward to a great summer full of fun and excitement! Paul hails from Dublin, Ireland and is excited to be returning for his sixth summer at HCDC. This summer, Paul will be returning to the Leadership Team as the 8 – 11 Year Old Boys Division Leader. Paul’s experience working with children is extensive. He has developed expertise working with children with special needs and is exceedingly sensitive and responsive to the needs of his campers. Paul has received the CIPD Award in coaching and mentoring from the National College of Ireland. 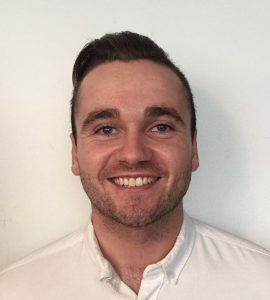 In 2018, Paul will attend University College Dublin to continue his studies in Sports and Exercise Management. Paul enjoys being active and loves the outdoors. He has coached basketball and soccer and is an accomplished swimmer. Andrew Rodriguez is excited to start his first summer at HCDC as the Sports Academy Coordinator! 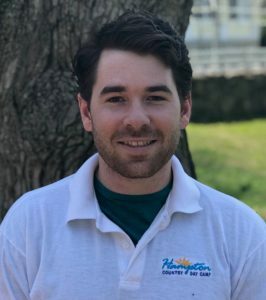 Andrew is a proud local resident of East Hampton and is looking forward to supervising, coaching and working with all of the Sports Academy campers. Andrew graduated from Dowling College with a major in Physical Education and coaches both volleyball and baseball at East Hampton High School. Andrew is passionate about getting kids involved in sports – his coaching style, drills, and overall athletic approach are so much fun that kids forget that they are actually improving their skills! Steve Mazza is excited to be returning for his eighth summer at HCDC after a six-year hiatus. Steve’s passion for working with children at HCDC led him to pursue a career in child psychology. He received his Ph.D. in clinical psychology this past May. Steve developed his managerial skills during his 5 summers as a Division Leader at HCDC between 2008-2012. He has a penchant for creating an atmosphere where teamwork, passion, warmth, and dedication are cultivated and reinforced. 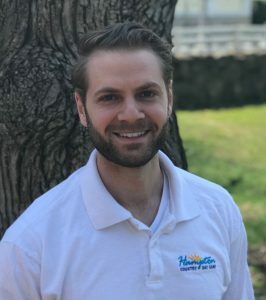 Although he is new to the role of Swim Director, he is enthused to apply his leadership skills while providing a safe and effective swim program for campers this summer. 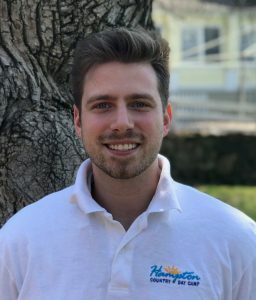 Steve looks forward to working with swim specialists Katie Ryan and Amanda Greenbaum, whose fervor for aquatics and wealth of lifeguarding experience will make the HCDC swim program safe, instructive, and as fun as ever during the summer of 2018. Katie can’t wait to begin her seventh summer as a part of the HCDC swim program! 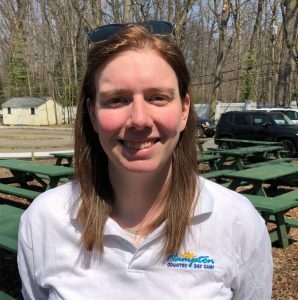 After working as a lifeguard and swim instructor for the past 6 summers, Katie is looking forward to assuming the leadership role of Swim Coordinator, with a focus on supervising the swim program for 5 – 11 Year Old campers. For over 10 years, Katie has been American Red Cross certified in lifeguarding, first aid, CPR, & AED. 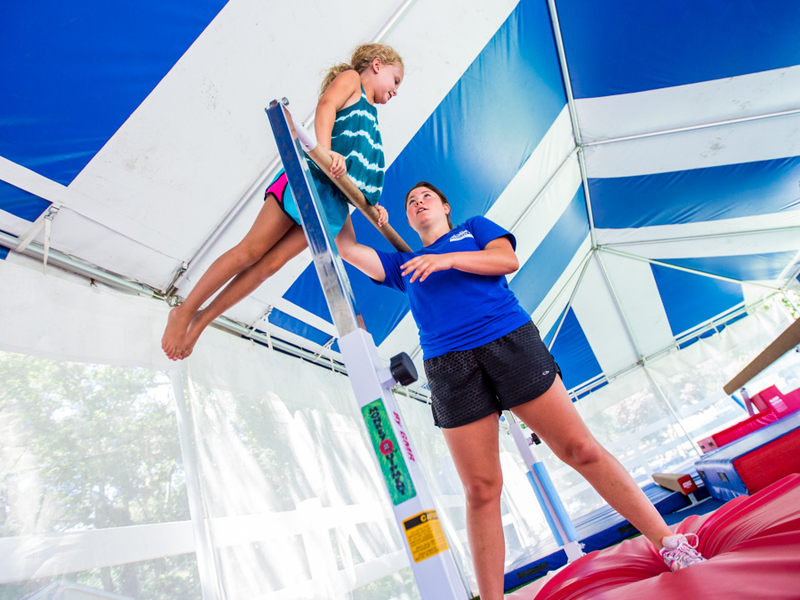 Having spent 12 years as a competitive swimmer, Katie values teaching young swimmers strong technique to improve their strokes and endurance in the water. She also prioritizes an individualized teaching style to provide each camper with the opportunity to succeed. Katie is currently working on her Master’s degree in Occupational Therapy at Tufts University and is looking forward to graduating this year. 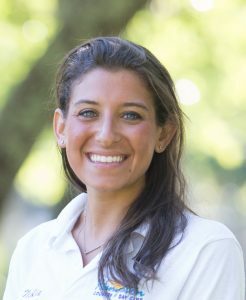 Amanda Greenbaum is extremely excited to return to the “HCDC pools” for her tenth year, this time as part of the Leadership Team as a Swim Coordinator with a focus on developing the swim skills of HCDC’s youngest campers! Amanda was born and raised in Cobble Hill, Brooklyn spent summers in Sag Harbor learning “all things aquatic.” Amanda earned her B.A. in Psychology Based Human Relations with a minor in dance from Connecticut College and spends her school year at Imagine School of Swimming in NYC, teaching children as young as 8 weeks old! 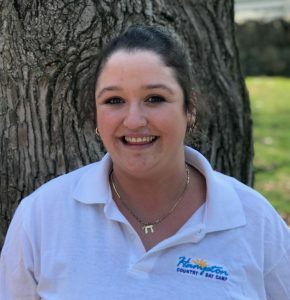 Amanda specializes in encouraging young children to be confident and brave, as well as technically proficient, while fostering a lifelong love of the water. 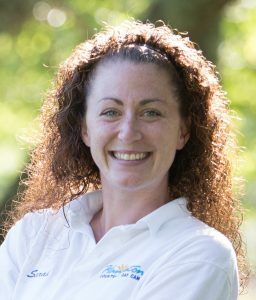 For the past decade Amanda has dedicated her life to providing creative, safe, and productive swim instruction for children. Amanda holds many certifications including Red Cross Water Safety Instructor, CPR/AED First Aid, Lifeguarding.. She is a Red Cross Lifeguard CPR/AED/First Aid instructor as well an accomplished cellist. Her goal is to help every child love the water as much as she does! Aoife is returning to camp for her fourth summer and eager to be one of the HCDC Program Coordinators, working alongside Henry Pontieu. Aoife brings a wealth of experience to her role having been a longtime specialist and counselor at HCDC. Aoife has a degree in Science and Education from Dublin City University. Her passion for science and working with kids is a year-long commitment, as during the school year she is a high school science physics and chemistry teacher. Aoife is looking forward to contributing great memories and new experiences to each camper’s summer! Nurse Lisa will be returning for her tenth season at HCDC with more than thirty years of experience as a practicing nurse. 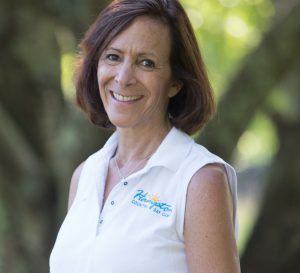 Lisa is a graduate of the Downstate Medical Center College of Nursing, brings a wealth of experience in the health care field, having worked in public schools, resident and day camps, private medical clinics and hospital settings. Lisa is a registered nurse and has served as a Quality Assurance Specialist at NYU Medical Center. Nurse Lisa’s Health Center provides a warm and caring environment for our HCDC campers.